Time series for the bidirectional communication between a mobile platform and a fixed ground station through an S-band satellite were taken during some field trials in December 2015. 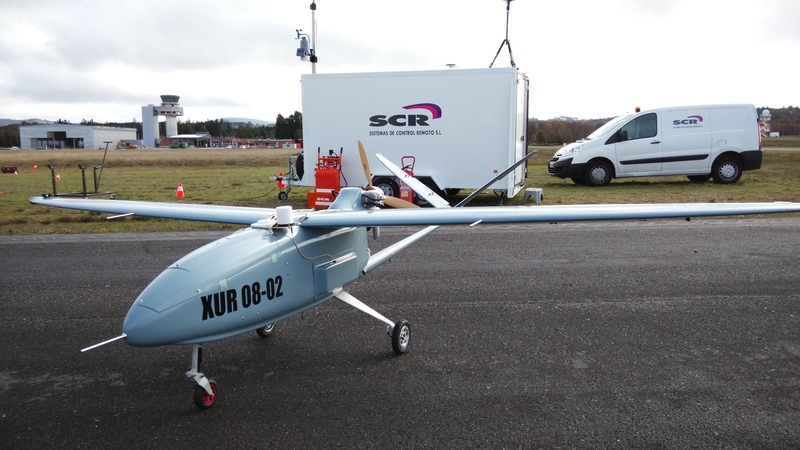 Measurements were taken for the Land Mobile Satellite Channel, with our terminal mounted on the top of a car, and the Aeronautical Channel, with our terminal inside a fixed-wing 50 Kg Remotely Piloted Aircraft (RPA). Full details of the field trials can be found in our paper "LInk Adaptation in Mobile Satellite Links: Field Trials Results" presented at the 8th Advanced Satellite Multimedia Systems Conference and 14th Signal Processing for Space Communications Workshop. See the slides here. The main objective of the field trials was the validation of our link adaptation algorithms, designed to increase the spectral efficiency of satellite mobile communications. Series of physical layer data such as RSSI (Received Signal Strength Indicator) and SNR (Signal to Noise Ratio) were captured for further processing. We make available some RSSI series for both ends of the communication link, together with the location data of the mobile at each time instant. We offer data from 91 tests, 65 with a terrestrial mobile terminal and 26 with a UAV; the dataset of each test, with a duration about 5-10 minutes, are stored in a Matlab structure. In addition to the RSSI data, each structure includes also the transmission frequencies, bandwidth, date and time of the trial, average azimuth and elevation of the satellite during the trial and position of the mobile terminal. Each dataset contains also the results of our link adaptation experiments and used for the paper above: mean spectral efficiency, Frame Error Rate (FER), and average closed loop and open loop SNRs, measured at the ground station and mobile platform, respectively. This work was funded by the Spanish Government and the European Regional Development Fund under project TACTICA.